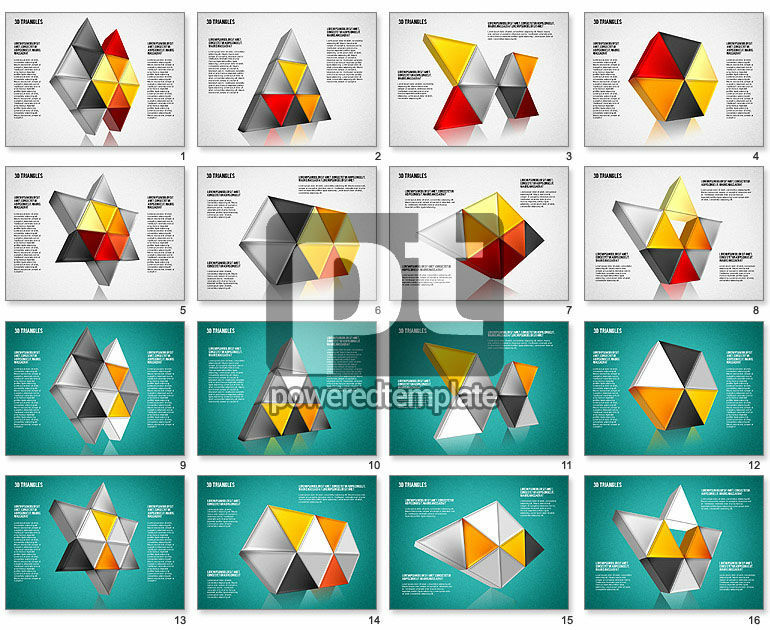 These presentation slides 41954 are complete compatible with Google Slides. Simple download PPTX and open the template in Google Slides. Meet this superb 3-D theme with a quantity of items which will make your presentation perfect. It is suited to visualization of your specific information, reports, choosing the best ways, interaction, reaching for success and so forth. There are such items like various multicolored triangles and areas for your text with two background solutions and stylish color palettes to meet your preferences.